Joe Ramos is an accomplished Real Estate professional with over 12 years of brokerage and investment experience. 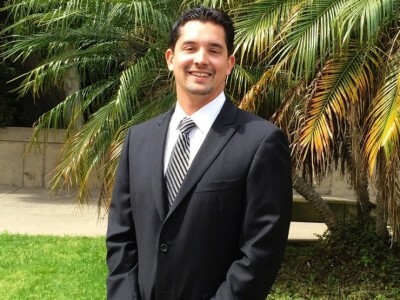 Mr. Ramos is a graduate of San Diego State University with degrees in both Real Estate Finance and Communication. He furthered his real estate investment analysis skills by completing the full compliment of the well acclaimed Certified Commercial Investment Management curriculum. Mr. Ramos began his real estate career in 2003 as an analyst with Apartment Consultants Inc. headquartered in San Diego, CA . That same year he received his real estate license and transitioned into full agency. In 2008 Mr. Ramos moved his license to affiliate with South Coast Commercial in San Diego and worked there through 2013. While there, he honed his skills a top producer, negotiator, and deal maker. In 2014 he moved to Walnut Creek, CA to take on greater professional challenges and start a family. In 2015 he partnered with Brian Nelson and Kevin Hemstreet to create ‘North Coast Commercial, Inc., which focus is centered on investment analysis and brokerage of multi-family properties throughout Northern California. Over the past seven (7) years Mr. Ramos has participated in over $175,000,000 in real estate transactions. He has syndicated the acquisition of over twenty (20) multi-family properties and has been responsible for the management, reposition, and disposition of those assets though renovation, creation and achievement of sound budgeting, and good operational management. In doing so he has developed expertise for improving curb appeal, durable stability, operational profitability, and market value. In, summary, Mr. Ramos has successfully represented clients and partners in the acquisition and disposition, of hotels/motels, single tenant NNN, restaurants, office parks. Particular focus in multi-family assets includes property management. His success can be attested to by the historically consistent achievement of operational budgeted targets, while consistently increasing net operating income and market value.